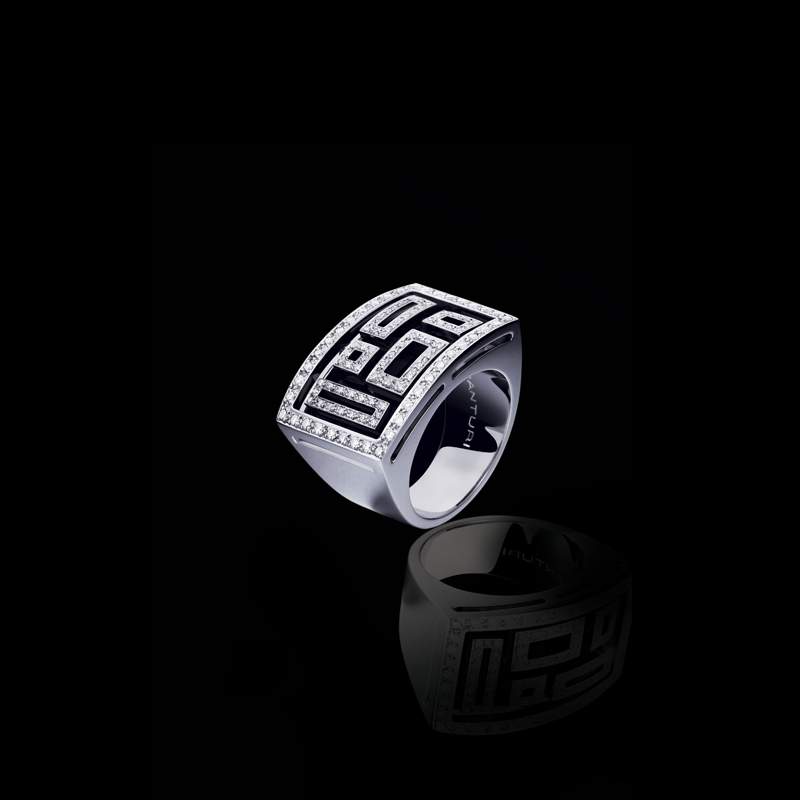 Canturi Geometric diamond stage ring featuring open lace geometric patterns with black antique finish, in 18ct white gold. Canturi Regal plain band in 18ct white gold, also available in yellow and pink gold. Canturi Regina diamond necklace featuring an oval cut pink tourmaline in 18ct white gold.